Patients in China are often willing to pay more for foreign drugs than for domestic generic drugs. A new bidding system is hurting sellers of older, off-patent medications. (Bloomberg) — Starting June 1, most drugs in China will be liberated from government-set price caps. For foreign drugmakers, though, pressure to cut prices is rising. Since late last year, many provincial governments have introduced new bidding systems to bring down the cost of medicines they procure, and they’re pushing multinationals to compete more directly with cheap local generics on price. That’s forcing many overseas drugmakers to stop selling certain treatments to public hospitals in regions where prices are pushed too low, according to the R&D-Based Pharmaceutical Association Committee, an industry group that represents foreign drug companies. Anecdotal examples show that price cuts and China’s slowing economy are hurting first-quarter sales for foreign companies that rely heavily on older, off-patent products, according to Franck Le Deu, a consultant at McKinsey & Co. “The start of the year is challenging for many companies relative to expectations and historical performance,” he said. Researcher IMS Health estimates that 925 billion yuan ($149 billion) of prescription medicines were sold in China last year. Overseas firms have seen sales of even off-patent therapies climb steadily in the country for years. Pfizer Inc., the largest U.S. drugmaker, saw China sales rise 13 percent last year, according to IMS. Foreign drugmakers have been able to expand steadily because the local industry is fragmented and many patients consider international medicines to be higher quality. That has allowed them to be priced well above generics in China, and also sometimes higher than the same drugs in other parts of the world. Some foreign drugs can cost as much as 40 percent more in China than other countries, said Angus Cole, a consultant at Deloitte China, who cited data from research agencies and physicians. That’s beginning to change as China’s government, burdened by the high costs of public health insurance, an aging population and an increase in chronic diseases like cancer, attempts to make medicines more affordable. Until recently, bidding systems at provinces — which operate much like state governments — put foreign drugs in a separate high-quality group where they didn’t compete directly with low-cost local copies. Under the new system, they must now compete on many bids directly with makers of Chinese generics. While Chinese firms also are affected by price cuts, they’re generally seen as beneficiaries of the government efforts to reform the system. The lifting of price caps will benefit domestic pharmaceutical companies with solid drug quality and strong research pipelines, such as Sino Biopharmaceutical Ltd. and Jiangsu Hengrui Medicine Co., Credit Suisse wrote in a research brief to investors this month. Jiangsu Hengrui’s shares climbed as much as 7.88 percent in Shanghai trading today, Sino Biopharmaceutical rose as much as 3.29 percent in Hong Kong. Foreign drugmakers on average dropped out of about 61 percent of bids in the wealthy eastern province of Zhejiang in March, according to state-run China National Radio. GlaxoSmithKline P.L.C. participated in price negotiations with the government of central Hunan Province for 31 medicines and dropped out of more than half of them, according to Liu Yuepeng, an analyst with ypzbxx.com, a China medical website that has access to bidding results. Pfizer participated on 12 products and gave up on nine of them, according to Liu. His analysis shows that in January Roche Holding A.G. took its breast cancer treatment Herceptin out of bids in Hunan, a province that’s home to about 5 percent of the country’s population. Pfizer declined to comment, and Glaxo didn’t immediately respond to calls and e-mails seeking comment. Roche via email said it is committed to cooperating with local governments’ purchasing departments, and declined to comment on individual bidding projects. Companies that drop bids can’t sell those items to public hospitals in the province, though they still can sell them to retail pharmacies. IMS estimates that about 70 percent of China’s prescription medicines are sold through hospitals. China’s Food and Drug Administration launched a program in 2013 to evaluate the quality of generic drugs, and until that’s complete the country has no official analysis to compare generics with branded treatments. While pushing down prices of older drugs, China also aims to launch a bargaining system this year to tackle high prices of drugs that are under patent protection. 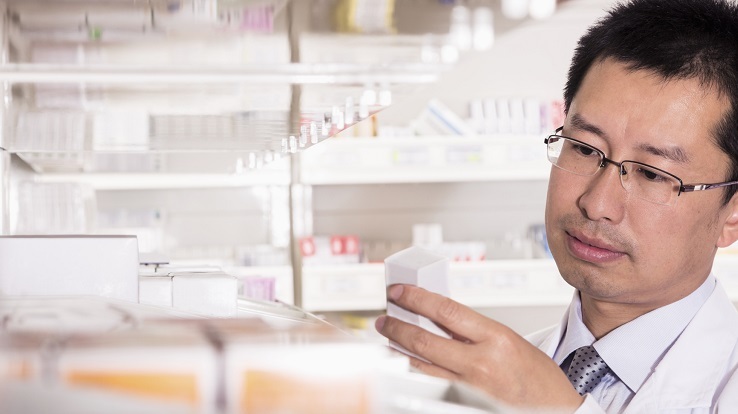 China’s drug procurement policies “are equal and fair to foreign and local manufacturers,” said Sun Zhigang, vice minister for health-care reform and medicine policy at the National Health and Family Planning Commission. “The prices at which we now buy patented drugs and unique drugs are falsely high,” Sun said at a May 22 press conference when asked how China’s health-care reform will affect foreign drugmakers. China will conduct negotiations at the provincial and national levels to reduce prices of bulk drug purchases, he said.